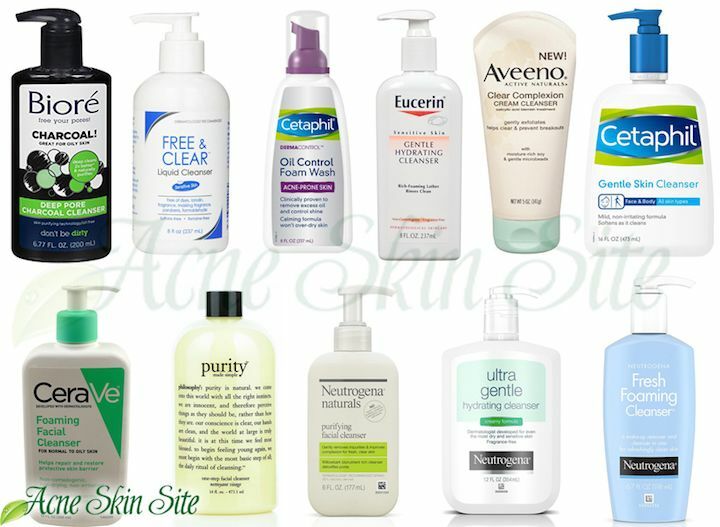 #DidYouKnow : Some acne medications may make your skin more sensitive to sunlight. Limit your time in the sun, especially between the hours of 10 a.m. and 2 p.m., and wear protective clothing, such as a long-sleeved shirt, pants, and a broad-brimmed hat. 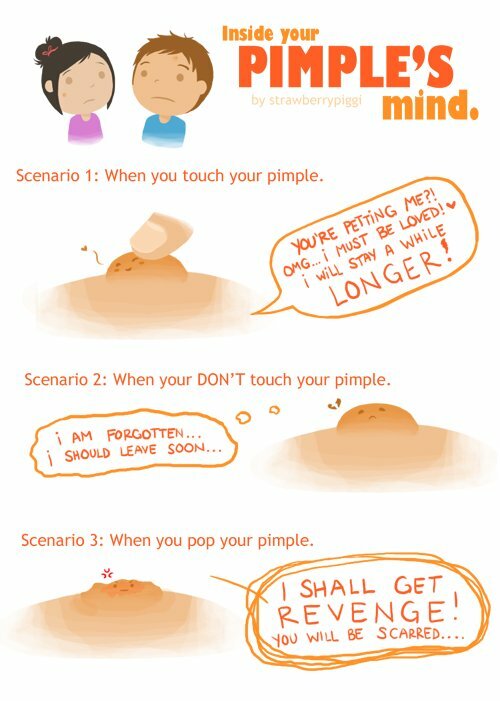 Dear Acne, I think we should see other people. Sincerely, Me. Massage In your Moisturizer. When we say massage, we mean massage. Rather than dabbing on your face cream, use gentle pressure, massaging it into your skin in a circular motion. Do the same when you wash your face. This simple trick will kick ur circulation into high gear. Sanitize ur Smartphone! Studies Show, that your cell phone can get more germ-infested than a toilet in a subway bathroom. #DidYouKnow: the glass touchscreens on mobile devices are so good at spreading viruses that sharing them may be almost as bad as sneezing in someone's face. #DidYouKnow : Shampoo and conditioner with a lot of fragrance and chemicals can irritate skin and cause breakouts on your forehead, jaw, neck and back. #Always : Remove your makeup before you go to bed. No exceptions. If you’re too tired to wash your face, use a makeup remover towelette. Just make sure it’s a non-comedogenic towelette. Wearing sunscreen daily saves your skin from years of visible damage later. 90 percent of visible aging comes not from the number of candles on your birthday cake but the hours you've spent in the sun. Sunscreen is not just about preventing sunburns. It is your best defense against premature signs of aging, and skin cancer. It's never too late to start wearing it! Drink a lot of water! It will help your skin, hair, teeth, weight, everything! Don't judge anyone. Oh, you think you're perfect? Sorry, no one is.